This tryout is for our Travel Soccer Program. This program is called the SKY Academy. 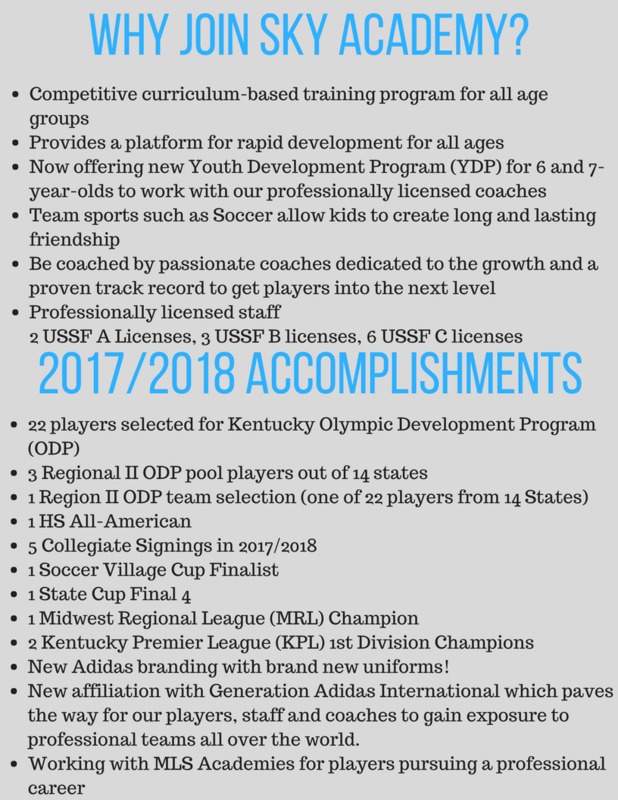 Evaluations for U13-19 teams are held in May/June each year for the coming soccer seasonal year. 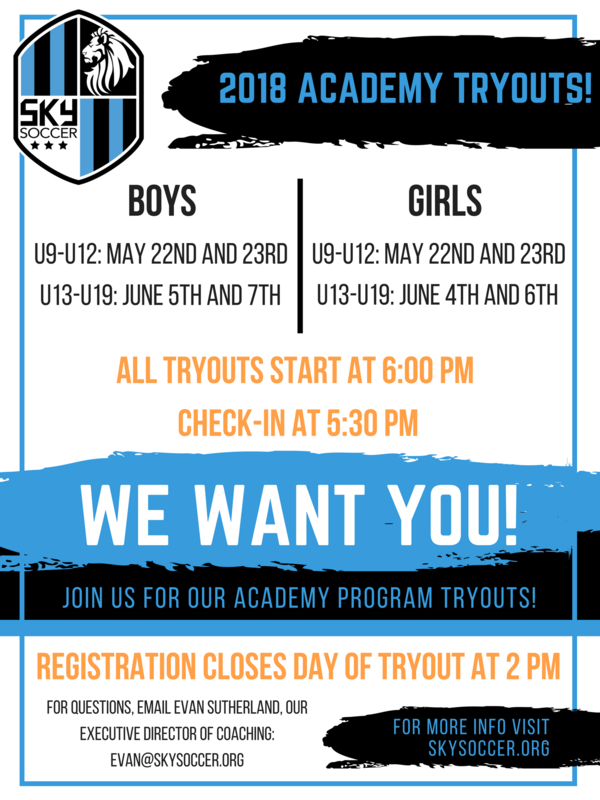 It is imperative that players attend tryouts for the SKY Academy Program. During the tryout period, your child will be evaluated by the coaching staff in various group activities. The staff will evaluate players based on technical ability, tactical understanding, physical ability, and mental concepts of the game. This criterion is evaluated along with consideration as to how and where that individual’s ability will best fit in order to foster continued learning, improvement and further a competitively challenged environment. Once this is determined over the course of the tryouts, your child may be offered a position with a team. The offering of positions on teams begins immediately following the completion of tryouts. Be prepared with decision options upon be contacted by the coaching staff.